Small boutique purpose-built campervan park set in rainforest directly opposite the Hot Pools, Guide Base and i-SITE Information Centre. Separate rainforest sites with power and water. 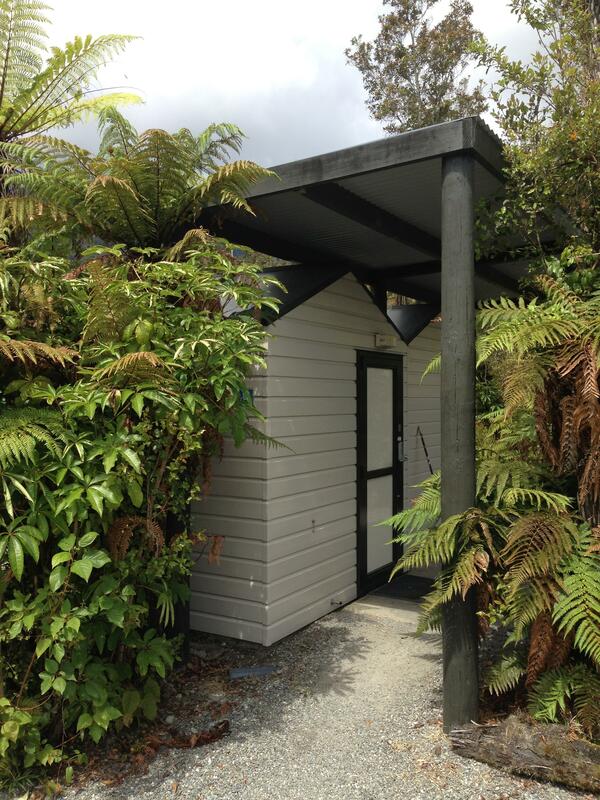 Hot showers and toilets, BBQ area and waste station. FREE booking office for all activities - discounts available. Next to the King Tiger Restaurant and 4 minutes walk to centre of town. 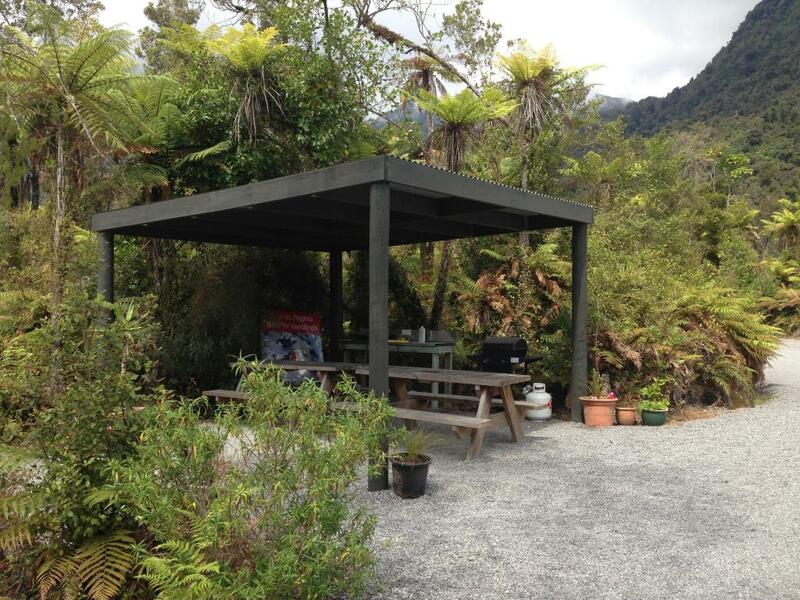 Enjoy the peaceful rainforest setting with the Glacier Hot Pools, and Franz Josef Glacier Guides Base (departure point for the Heli Hike) at the end of the driveway. Large peaceful sites next to the native forest with the back-drop of the Glacier Valley. The staff at Glacier Country Campervan Park welcome visitors and hope they enjoy their stay.